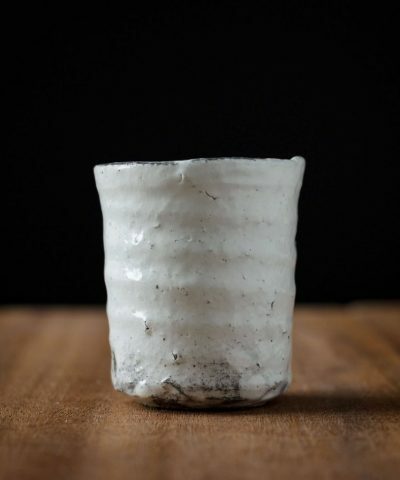 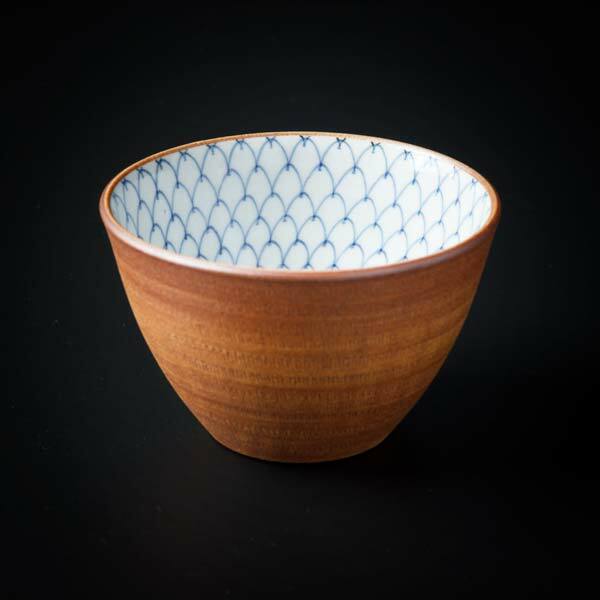 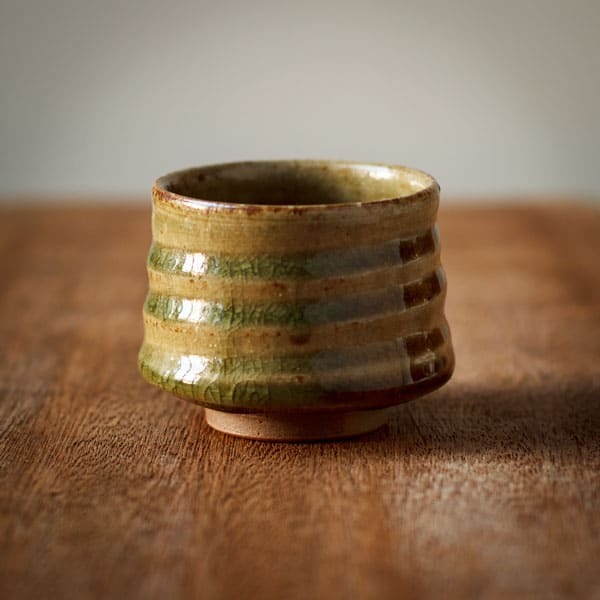 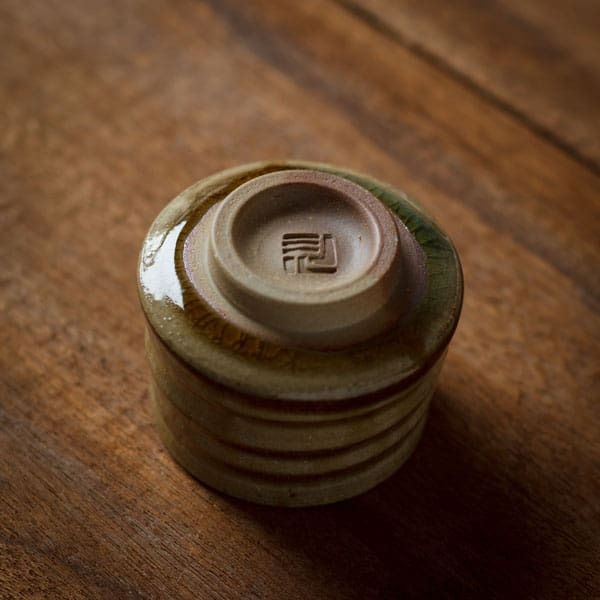 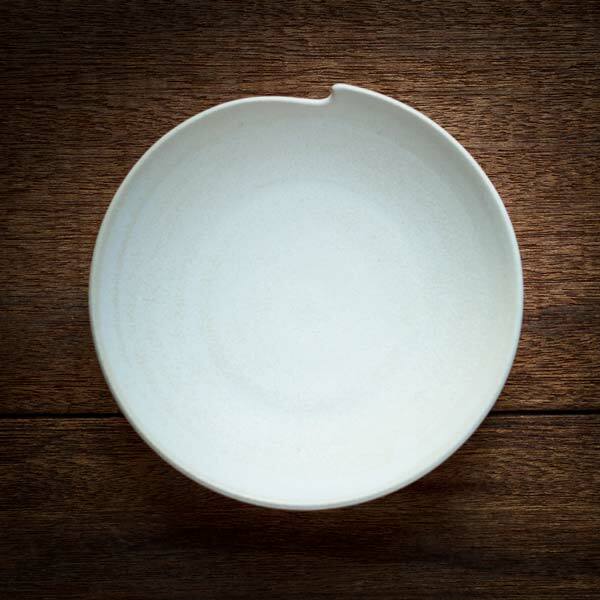 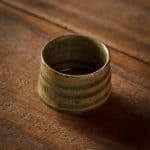 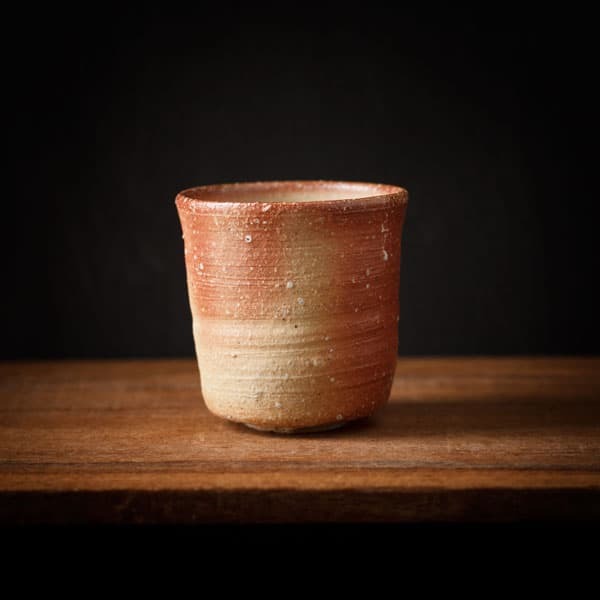 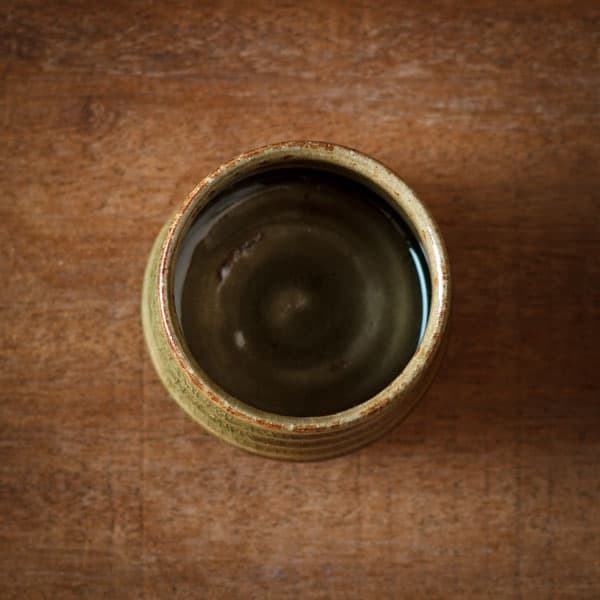 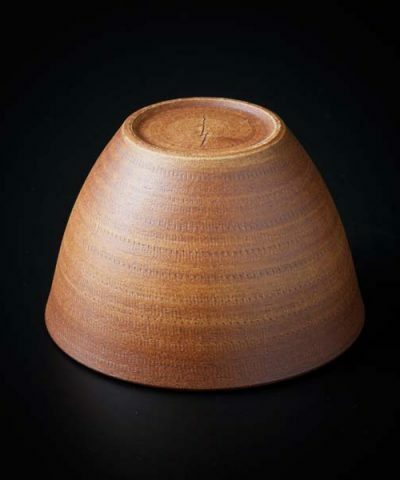 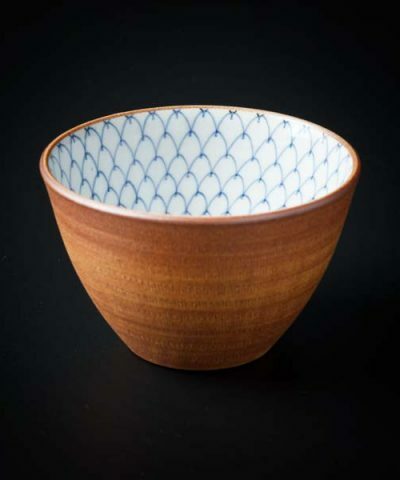 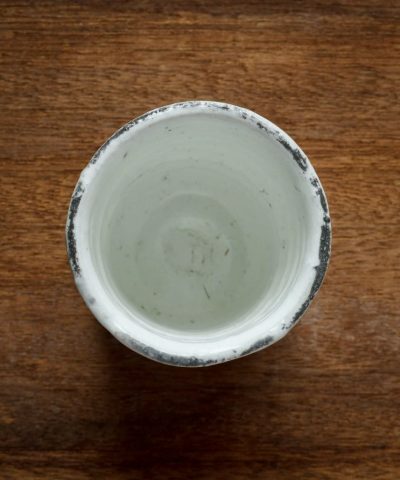 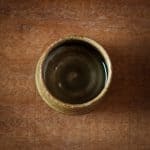 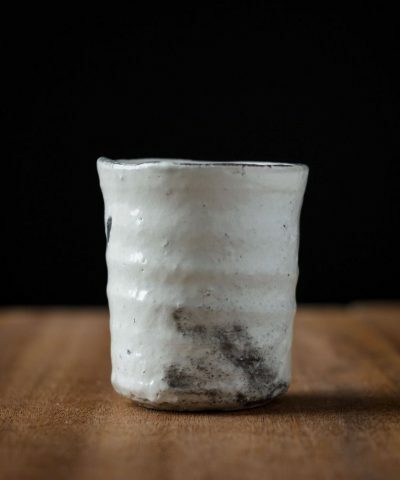 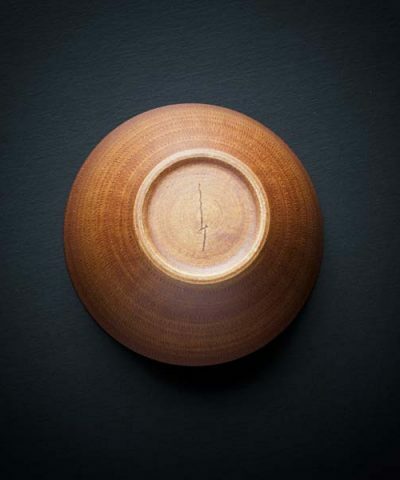 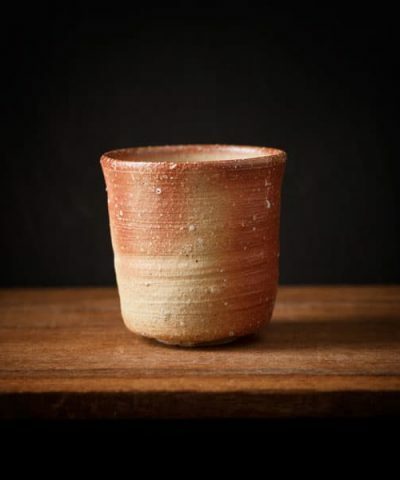 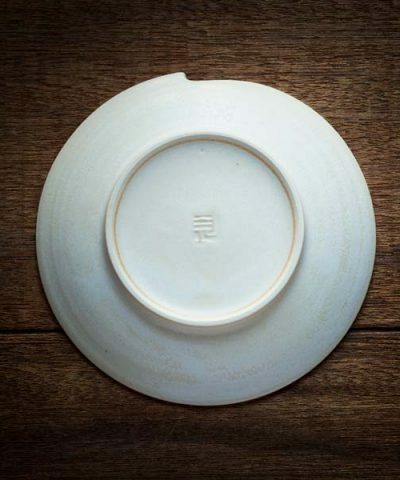 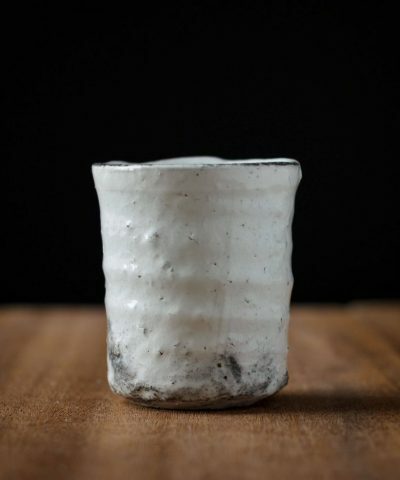 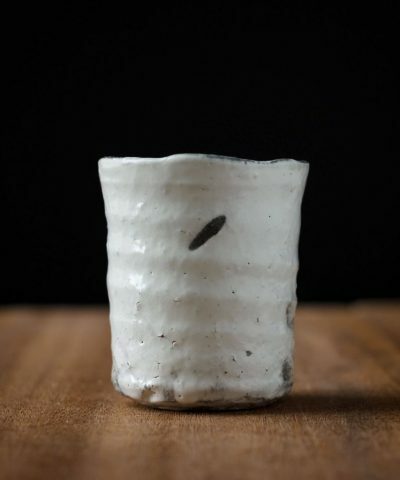 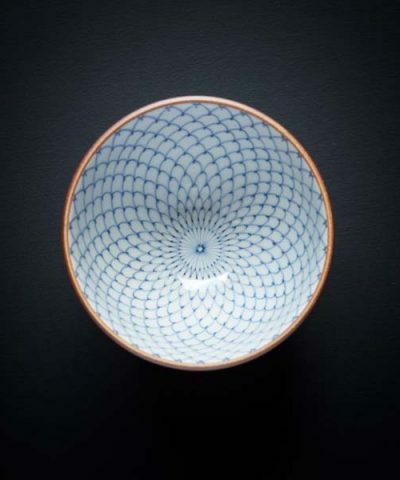 This unique Yunomi (tea cup) is hand crafted by artisan Daisuke Mino at his workshop in Nara, Japan. 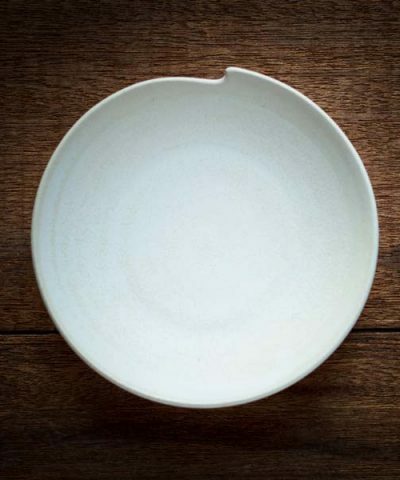 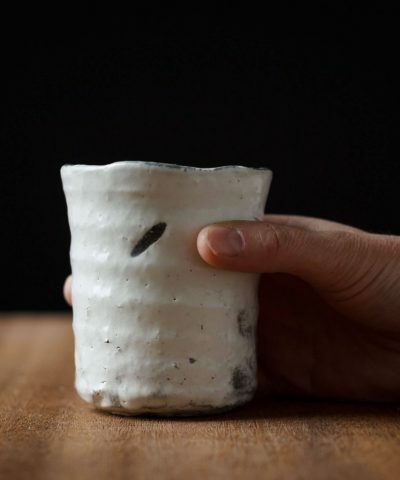 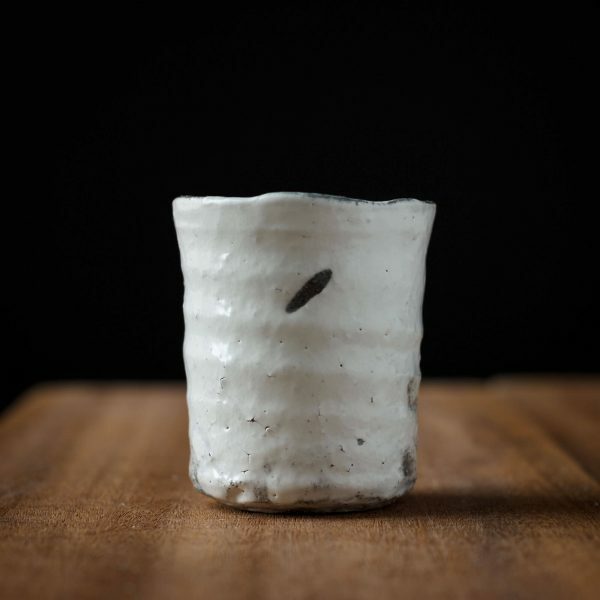 This particular tea cup is glazed with a glaze made of ash from an oak tree. Depending on the individual tree, the glaze develops a unique shade of green after firing in the kiln.